Canon’s entry into the mirrorless market starts with a camera aimed at entry level DSLR and advanced compact camera users. With the launch of the EOS-M, all our mirrorless rumours (from 2009) are now on the Mirrorless camera rumours page. This is where rumour info about additional models and lenses will be placed. This page contains assorted info that I find and receive about the new EOS-M camera. Updated Dec 3rd,2013 with EOS M2 information in info section. Initial launch only in Far East, no UK/US info. Hand-held Twilight mode, to help with long exposures in low light. Multi-shot noise reduction function that helps reduce the noise by combining four images. EOS-M is being heavily discounted elsewhere. 18th The EOS-M is starting to show up as discontinued at some dealers – a replacement is widely expected before too long (see mirrorless rumours for latest). 19th AF testing – set of YT videos comparing performance (V2 firmware is noticeably faster. 11th Firmware update to improve AF performance amongst other tweaks should be announced before too long. mount adapter need EF-EOS M.
values ​​8GB memory card based on the use of Canon’s testing standards ( ISO 100 and “Standard” Picture Style). 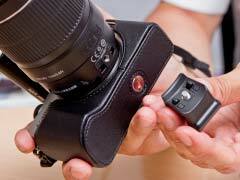 values ​​in brackets apply based on Canon testing standards UHS-I compatible 8GB memory card. More lenses would be likely – probably at the time we see another camera. 29th In Japan, it’s suggested that some EOS-M items will be for sale from today (double lens kit), whilst single lens and body only will appear on the 12th of October. 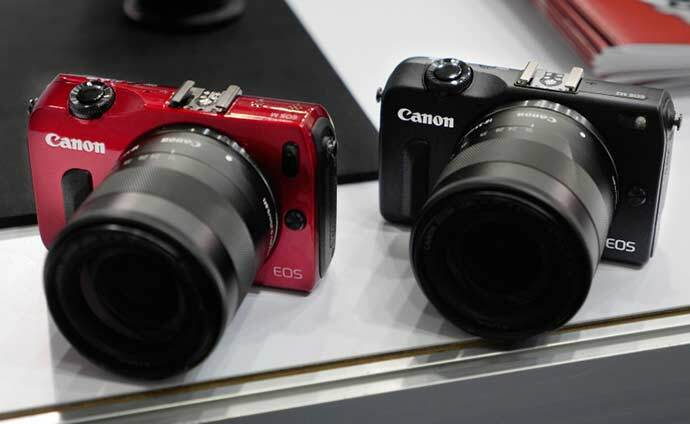 10th A Japanese article [DCW] recounts an interview with Canon about the EOS M strategy. Phase detect AF on the sensor is considered better than contrast based AF for moving objects. Meanwhile, I note that the base of the adapter -is- detachable. 25th Detailed view of the lens adapter. It’s not clear from pictures I’ve seen if the tripod attachment at the bottom is removable. 24th The EOS M is firmly aimed at the ‘enthusiast’ market, and we’re told that a higher end model won’t be along this year. 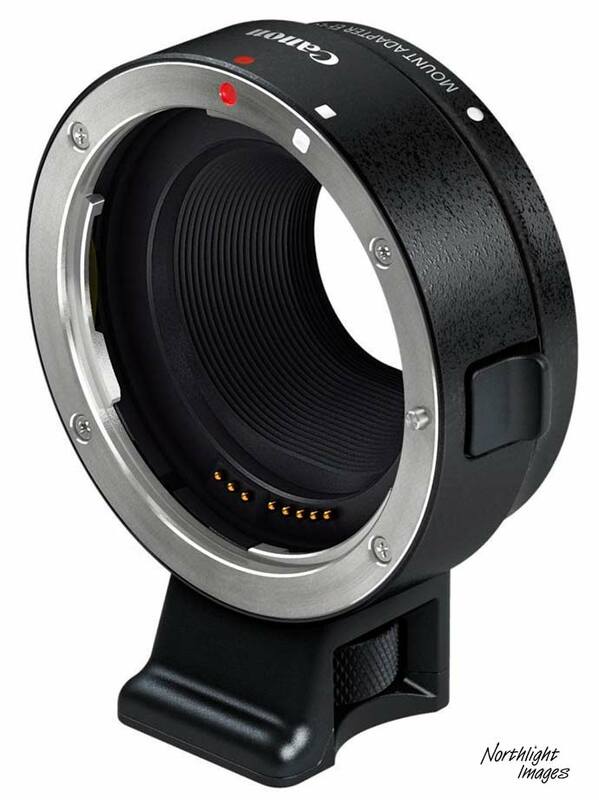 The new mount’s flange distance is 18mm and from the size, there doesn’t look to be any space for a bigger sensor. Note the name ‘EOS M’ on top of the camera. We’re told not to expect a high end version for a while yet. 11th We’re told (thanks) that the first new mirrorless camera from Canon will feature a near identical sensor to the recently announced 650D. This is due to the new inbuilt phase detect system – although we’ve had suggestions of both 15MP and 18MP. Shouldn’t be long to wait, although don’t forget that Canon has new printers to announce before Photokina too. 2nd Several suggestions [thanks] not to expect the ‘best’ camera for some time with Canon’s new mirrorless offering. A lot depends on market reception. 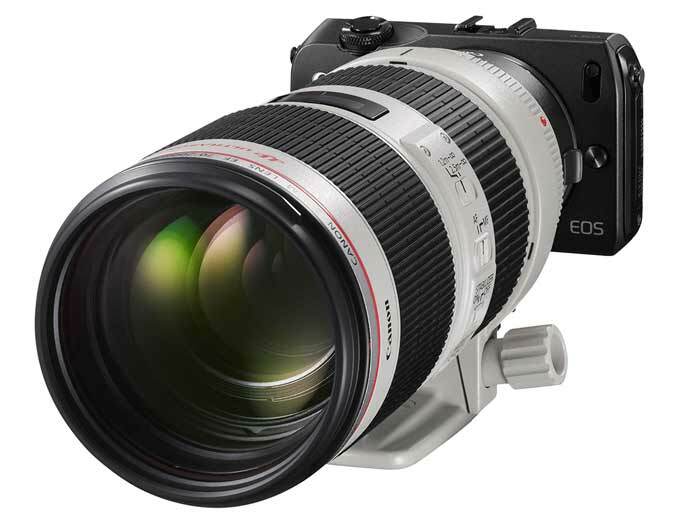 1st We’re told [thanks] to expect the Canon ‘mirrorless’ entry to debut with a kit zoom and an adapter for EF lenses such as the new pancake 40mm lens – likely the first of several new small primes. Every aspect of the EOS M has been designed to make it simple to capture beautiful, creative, high-quality images. From the very first swipe across the bright, high- resolution, 7.7cm (3.0”), Clear View LCD II Touch screen, the EOS M gives you as much or as little control over your photos as desired. Simply select different shooting modes and settings via the on-screen icons, or let Scene Intelligent Auto adjust the camera settings according to the subject and shooting conditions, leaving you free to focus on composition and selecting the perfect moment to hit the shutter release button. EOS M users can shoot with the confidence that comes from having the world’s most comprehensive photographic system behind them. Whether you want to capture every detail of a close-up or zoom in to frame a subject in the far distance, any one of Canon’s extensive range of EF lenses can be connected via the new Mount Adapter EF-EOS M for photographic flexibility. In addition to compatibility with Canon’s existing EF lenses1, accessories and Speedlites, the EOS M launches with its own bespoke range of compact accessories. Two new EF-M lenses offer portability and high performance when using the new model – the EF-M 18-55mm f/3.5-5.6 IS STM standard zoom and the EF-M 22mm f/2 STM pancake lens. 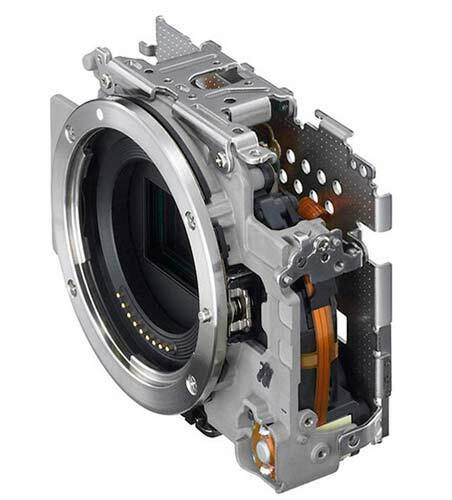 Both feature new Stepper Motor technology for exceptionally smooth AF performance, as well as precision Canon optics, while their compact designs offer the perfect form-factor to complement the camera’s pocket-sized body. LAKE SUCCESS, N.Y., July 23, 2012 – Combining the perfect blend of advanced video features and excellent still image quality in a convenient size, Canon U.S.A., Inc., a leader in digital imaging solutions, today announced the EOS M Digital Camera. Canon has made significant advancements in the realm of professional-quality HD video capture, from advanced CMOS sensor technology to smooth, quiet continuous autofocus. Inspired by EOS technology, the EOS M leverages these core technologies and distills them down to provide outstanding video capture capabilities while retaining high-quality still image capture. When shooting still images, the EOS M camera’s 18-megapixel APS-C-sized CMOS image sensor provides a shallow depth of field, incredible low-light image quality and a wide dynamic range to capture rich gradation and detail. This new addition to the EOS family offers a great solution to videographers and photographers of all levels, with two new lenses designed specifically for Canon’s new camera format – the EF-M 22mm f/2 STM kit lens and the optional EF-M 18-55mm f/3.5-5.6 IS STM lens– and the ability to use the full line of Canon EF and EF-S lenses through the optional Mount Adapter EF-EOS M.
“The EOS M includes a unique feature set making it an ideal movie-making tool while offering incredible still image quality on its APS-C-sized CMOS sensor. The camera’s size, image quality, advanced video capabilities and the versatility of Canon’s full lineup of lenses make the EOS M another great option to help our customers record and capture their creative vision,” said Yuichi Ishizuka, executive vice president and general manager, Imaging Technologies & Communications Group, Canon U.S.A. The EOS M utilizes Canon’s Hybrid CMOS AF system to deliver fast autofocus speed for both video and photos. The Hybrid CMOS AF system truly shines when shooting video with EOS Full HD Movie mode including Movie Servo AF for continuous autofocus and tracking of moving subjects. The Hybrid CMOS AF system is located on the CMOS sensor itself and combines phase-difference AF and contrast AF to achieve operational stability, speed and precision. 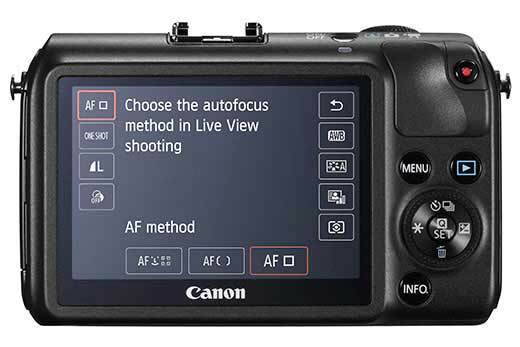 The Movie Servo AF function on the EOS M is enabled by default which keeps images on the rear screen in constant focus, even before the shutter is pressed. This continual focus makes for sharp video capture in a snap or to help reduce shutter lag due to focusing when still images want to be shot. The camera employs three AF methods for video and photos, Face Detection & Tracking AF, Multi-Point AF for automatics selection and Single-Point AF, where users select one of 31 AF points. Through the camera’s touch-panel operation, subject recognition and tracking is engaged at the touch of a finger, allowing users to track subjects accurately and focus on intended subjects with ease. In addition to subject tracking, the touch-panel LCD allows for simple, intuitive operation, menu navigation and touch features making it easy to shoot video and photos. 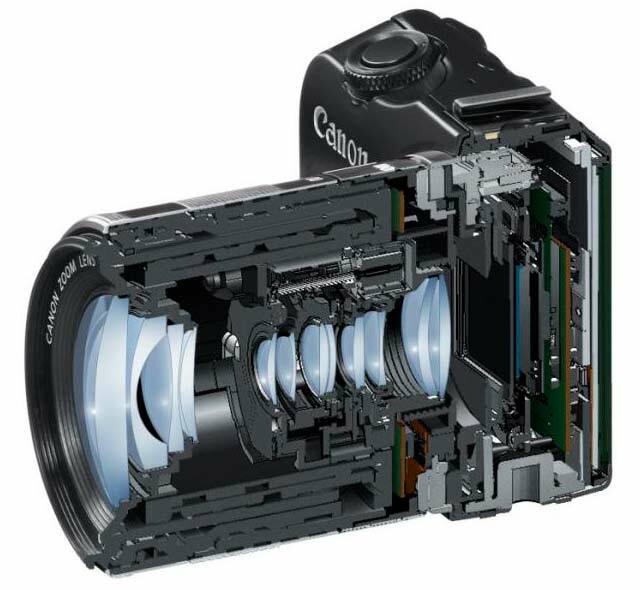 Along with the EOS M, Canon is also introducing two new M-series lenses – with new EOS M mounts –that include STM technology allowing for smooth and silent focusing when paired with Hybrid CMOS AF. The EF-M 22mm f/2 STM kit lens is ideal for shooting video and still images. 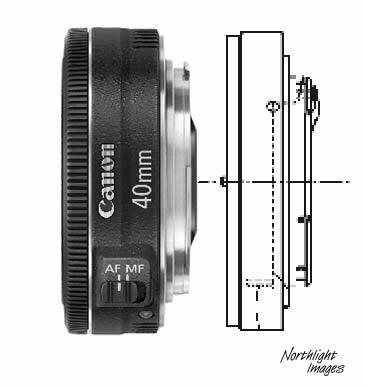 The fixed focal length lens has a great capacity for gathering light with an incredible aperture of f/2 and when combined with the camera’s APS-C image sensor, provide beautiful bright images and background blur for both video and stills. 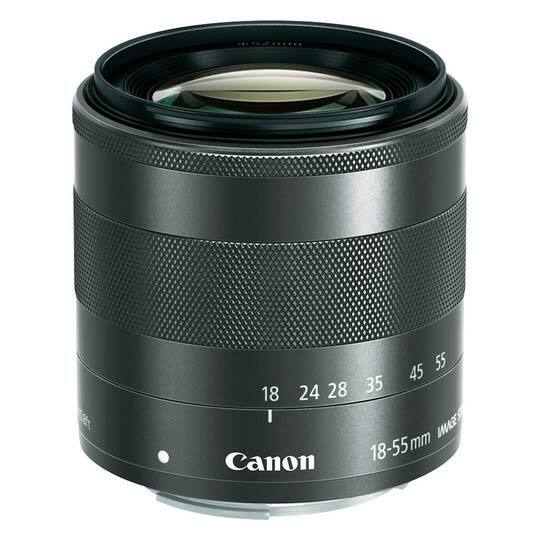 For more focal range versatility, Canon is also introducing the new EF-M 18-55mm f/3.5-5.6 IS STM, which provides videographers and photographers with a variable zoom range for general use with video recording or photographing. Both lenses are designed specifically for use with the EOS M digital camera. The EOS M Digital Camera bundled with the new EF-M 22mm f/2 STM kit lens will be available in October for an estimated retail price of $799.99. 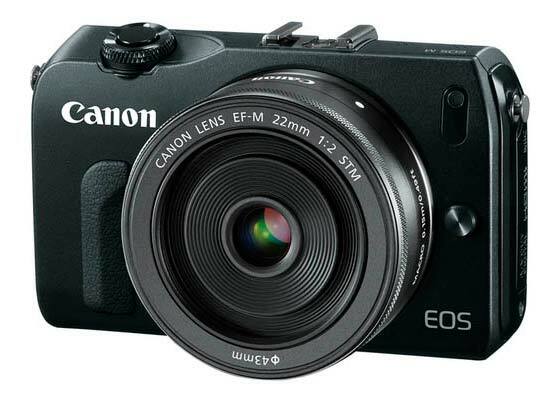 Also a white version of the EOS M Digital Camera bundled with the new EF-M 22mm f/2 STM kit lens will be exclusively available through the Canon Online store, shop.usa.canon.com. 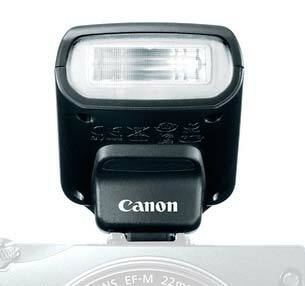 A Speedlite is required for flash photography with the EOS M digital camera; this camera does not include a built-in flash.